One hundred years ago, Thomas Edison worked on an electric car battery at his West Orange laboratory in New Jersey. 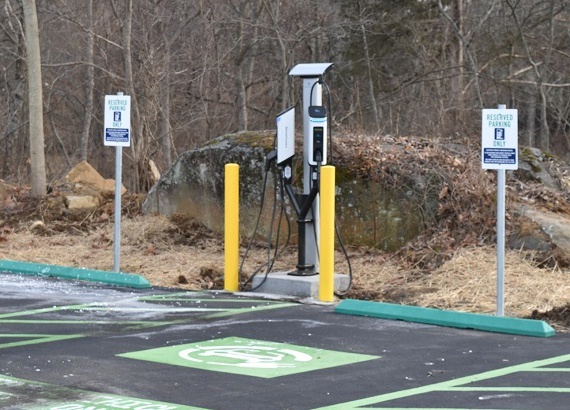 In April 2017, the West Orange laboratory at the Thomas Edison National Historical Park was where BMW appropriately unveiled the first of 100 electric vehicle charging (EVC) stations to be installed at National Park Service sites. Four level-two charging stations were unveiled in West Orange, kicking off installations across the nation. In the fall of 2017, BMW installed EVC stations at Gettysburg National Military Park Museum and Visitor Center. Working with the Gettysburg Foundation and the National Park Service, BMW installed the charging stations. The vehicle charging stations offer two of the level-two chargers at this time. The level-two charger can power up an electric vehicle in about two to three hours. The stations opened for public use on December 21, 2017 and are currently up and running. For those using the EVC stations, the required BAE number is located on the left-hand side of each charging unit. The cost to charge is $1/hour for every hour your vehicle is plugged into the charging station. You will be charged as long as your vehicle is plugged in, so please remember to unplug and move your vehicle as soon as it is fully charged.